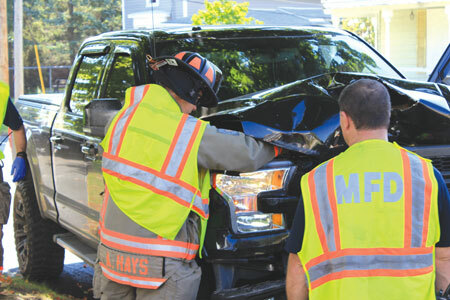 Marysville Division police and fire department crews responded to a vehicle crash on West Sixth Street Wednesday at about 11 a.m. The crash occurred when a westbound truck driven by Motasem Khaled Elayaseh, reportedly swerved to avoid a squirrel. The vehicle struck the back of a parked vehicle. The second vehicle then struck a vehicle parked in front of it. Traffic was disrupted for some time while police investigated the crash.